The teachers and director of this new school, in an area wayyyyyy behind the airport called Nazareno (like Nazarene, Jesus the Nazarene), are excited to start. 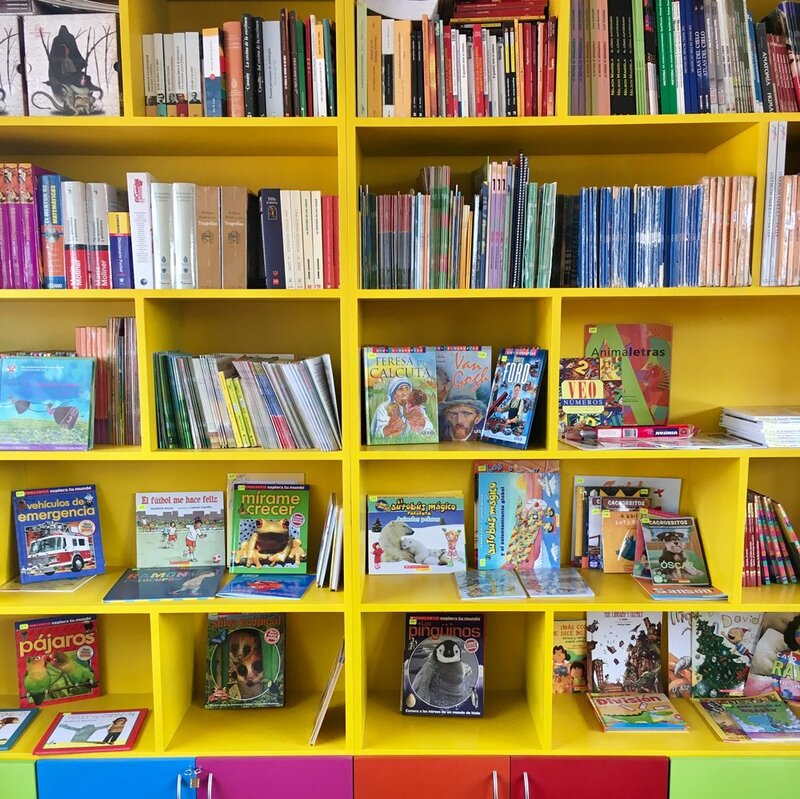 The parents of the kids worked together to get the library space decorated and ready, and our team of CUDA staff and volunteers worked to get the books labeled and put on the shelves. The Nazareno school is different because it’s the first Christian public school we’ve worked with. You heard that right: Christian and public. It’s a classification of public schools here known as “parochial” schools, the great majority of which are catholic. Certain areas of the city need schools but the government hasn’t taken the initiative (or had the resources) to build a school. So the community comes together to build and run the school, and the government pays the teachers. 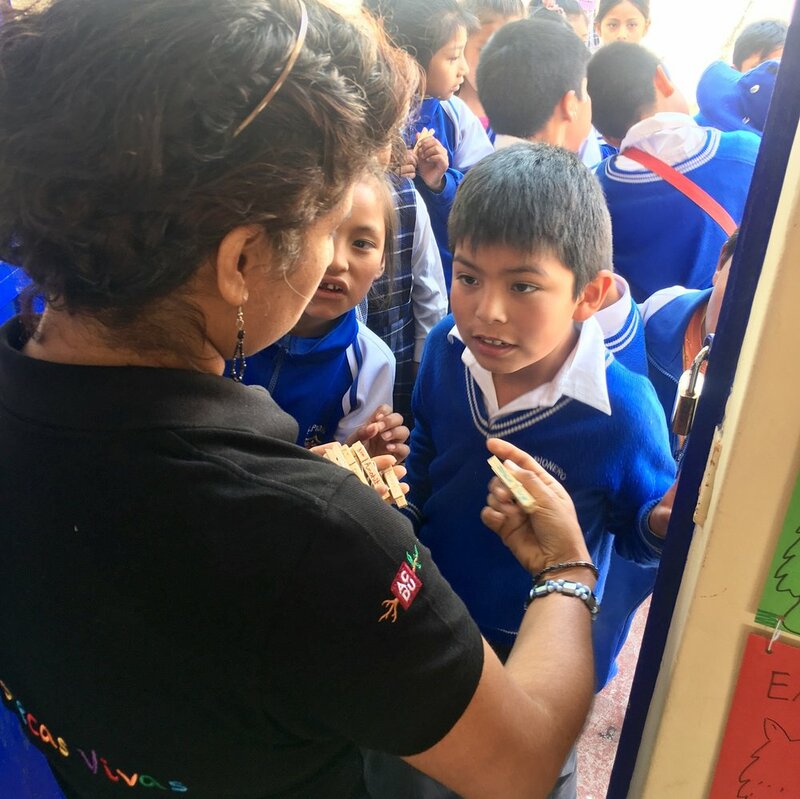 In this case, an evangelical Christian community came together to open this school and we’re working with them to equip the school to give their kids an ability and love for reading. The kids had their first day in the library last week and loved it. The teachers had their first continuing education course on Friday where they work on reading strategies to implement in their classrooms. As part of that session Katie gave a talk on living a healthy life, and I gave the first segment of a series of talks on Christian ethics and vocation as teachers. You’ll see a new face on the website and in photos this year, because we’ve hired a child psychologist to be a part of the Living Libraries team. Her name is Carmen and she’s training this year to be able to expand the number of schools we work with in 2018. We’re all excited for the new school year and more and more children, teachers, and families experiencing justice, wellbeing, and joy in our city. As always, thanks for your interest, prayers, and financial support for CUDA. To make this work, we depend on your support. If you’d like to be a part of this, find some ideas on how to join in.